Male and female Evening Grosbeaks show off their beautiful plumage in flight. 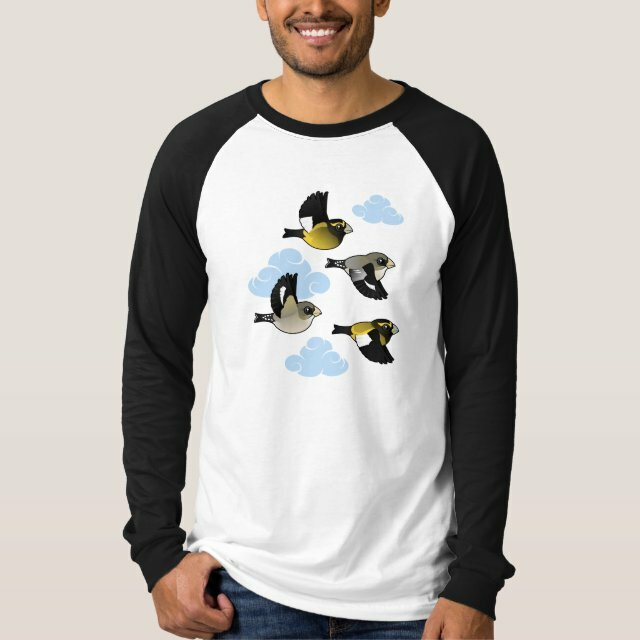 An original design from Birdorable. You can totally customize this gift! Move the birds around, change the background color or style, add your own text or images -- make it your own!